Being a good ole southern boy, I can't help but be a fan of Lynyrd Skynyrd. Their music makes you want to drink beer and go fishing...even if you don't enjoy that sort of thing. 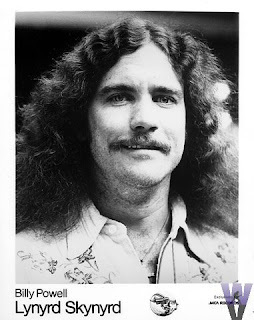 Billy's keyboard playing was an essential part of the Skynyrd sound. It might be cliche, but he's as free as a bird now. Thanks for all the great music, Billy. Animated Dude Kicks Robot Hiney!